Burlap Natural Fringed King Bedskirt by VHC Brands | P.C. Fallon Co. 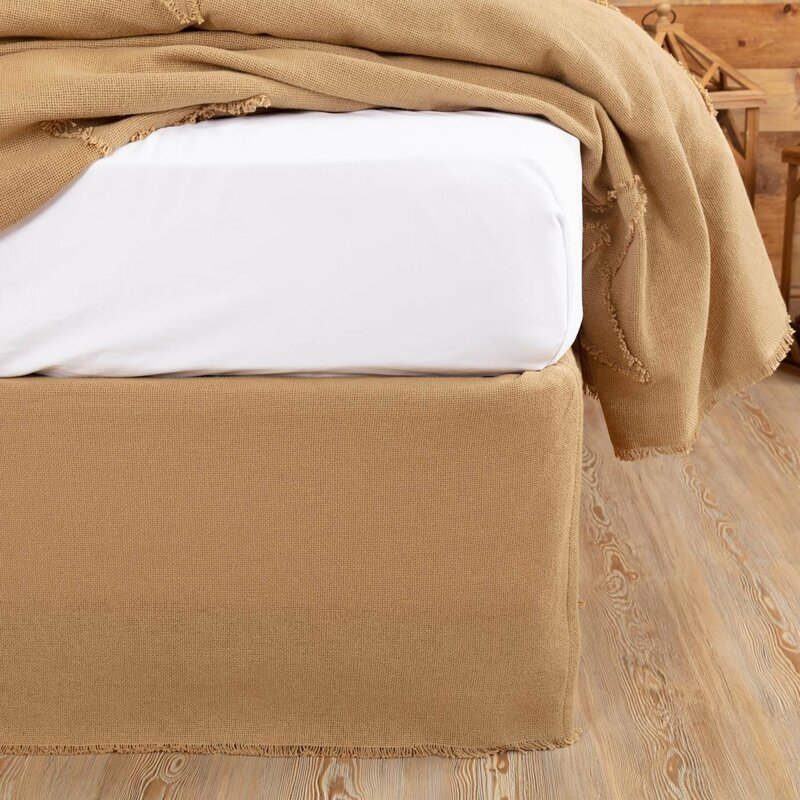 The Burlap Natural Fringed king bedskirt is 100% soft cotton burlap and measures 78"W x 80"L with a 16" drop. The deck is a tan cotton the same color as the ruffle. This tailored skirt features a fringed hem to add a bit of character and texture to any bedding ensemble. Front skirt panel overlaps side panel 2.5" at the front corners. This item is imported. Please note, colors may appear differently in different resolutions and on different computers. From The Victorian Heart Collection made by VHC Brands. Manufacturer's UPC code is 841985034129.